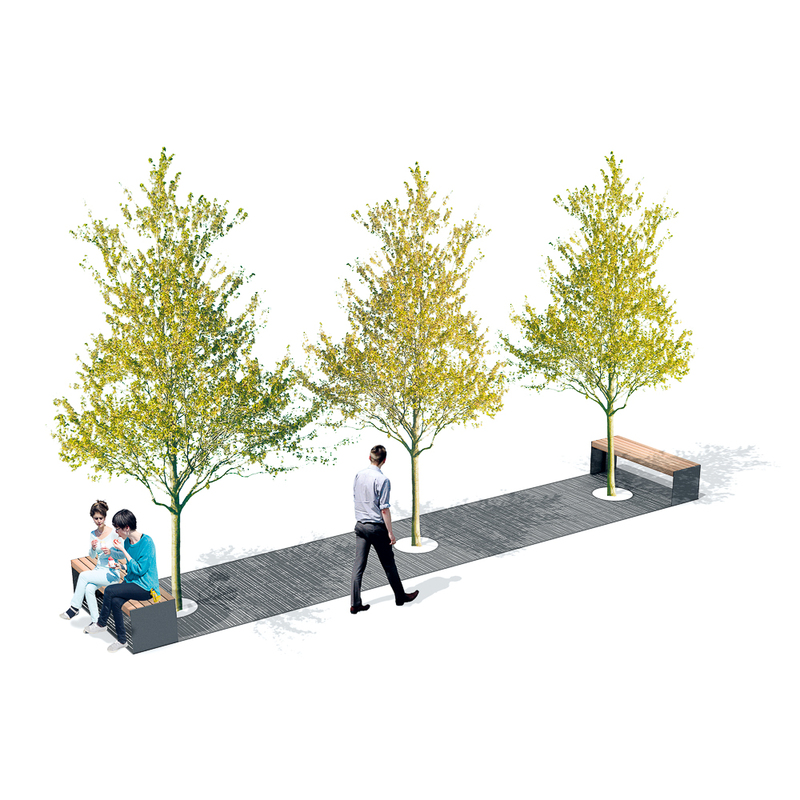 People like to sit near trees. 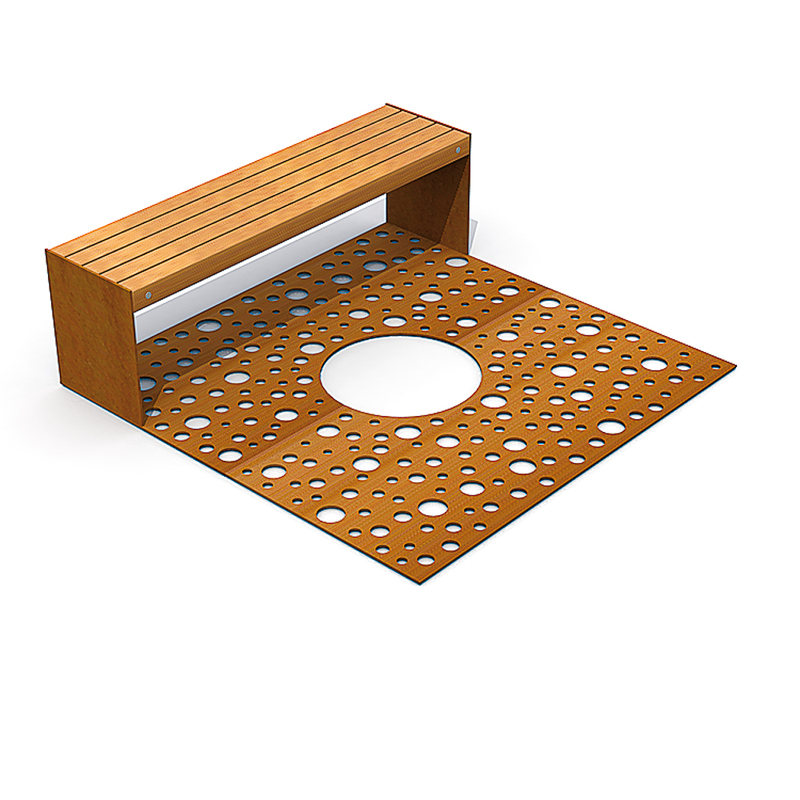 The Solid Grille Bench is a squared tree grille combined with a seat. 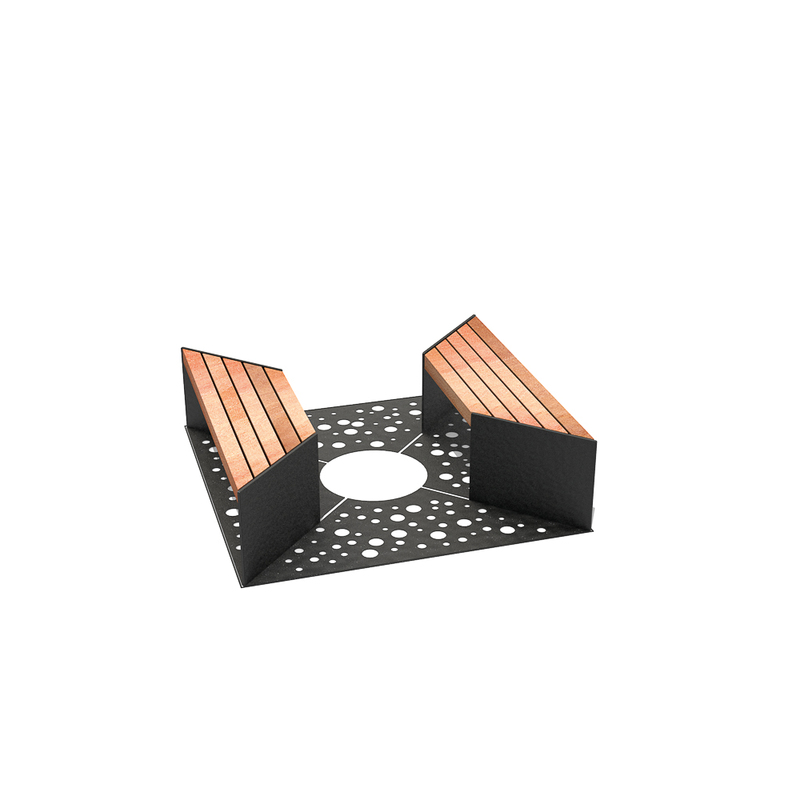 Solid Grille Benches are available with both straight and diagonal ends for large tree grilles. 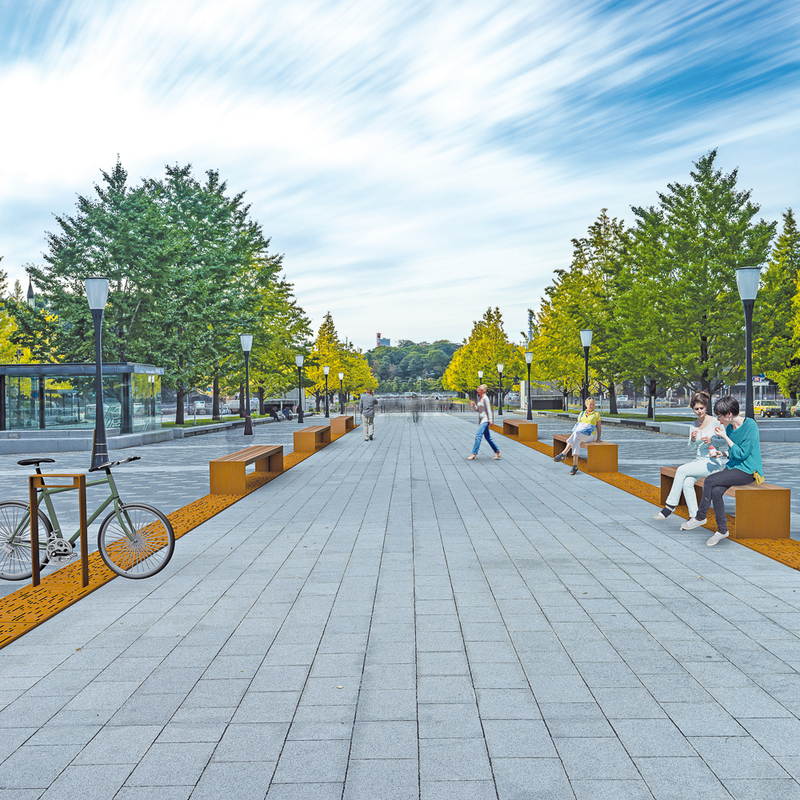 The heavy gauge CorTen steel supports are fitted to the size of the tree grille. 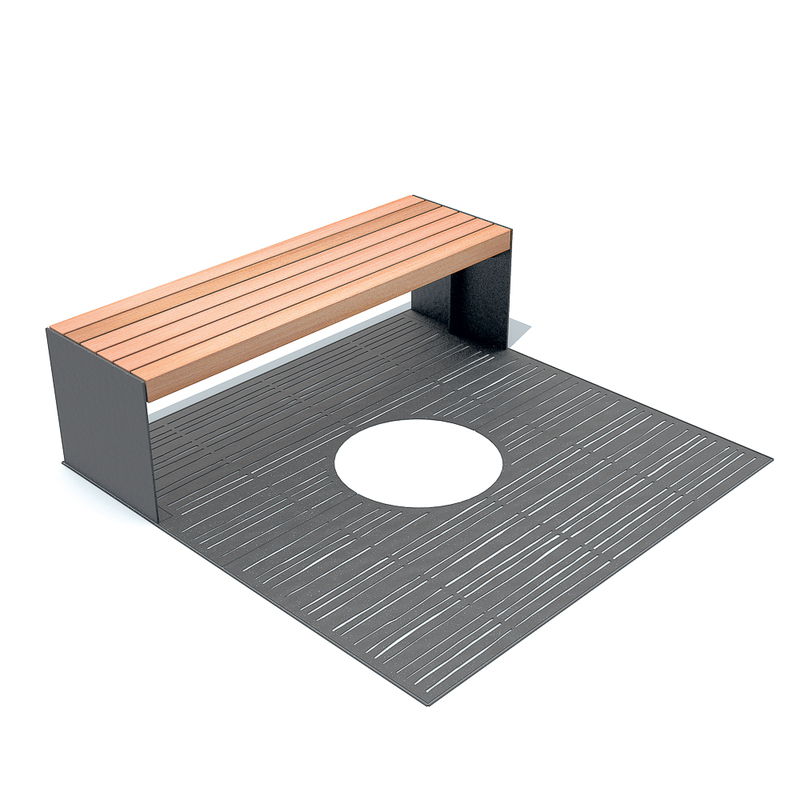 Available in standard lengths ca.120, 150 or 180 cm | 47",59" or 71"